We actively advocate for policies and legislation that support our mission and the opportunities we generate. INTRODUCTION AND PRINCIPLES VALID FOR ALL MEMBERS AND GUESTS. All policies in the B2BALTIC community, B2BALTIC television, all our networks and locations worldwide. Valid and immediately applicable for business or private visitors, community watchers, GO/NGO, all members, as well as for anybody who use, stay or surf on our platforms, sites and locations everywhere. You are a private or legal entities and you are entitled of the name “member” or “community member” or “member of the community” or similar, and hereby in this agreement mentioned in this way or simply through “you”, when you have sent applications, requests to B2BALTIC, or joined groups under management/moderation of B2BALTIC, or used or surfed any B2BALTIC platforms, regardless from the purpose and length of time. You agree and follow all the below written policies, terms and all community regulations, for the good of the community and to increase the business opportunities for you and your businesses. GLOBAL MOVEMENT: B2BALTIC is not only trading hub for European startups, smart projects development, distribution of goods, and disruptor for digital transformation. It is also Nordic advocate of the apolitical non-governmental independent global movement Smart&Digitalcities that aims innovation, safety, integration, communication and engagement in modern decentralized cities or communities around the world. B2BALTIC, Nordic-Baltic community for Innovation & Trade is made for business people, Nordic, European or Global from all over the world, with an extra gear, regardless from where they come from. We operate a focus with full-immersion in our 9 Baltic sea countries located in the Northern part of Europe. In the community we don´t limit your position and role: you can become a supplier, provider, developer, constructor, innovator, startupper, investor, researcher, tech-geek, marketer, editor and media/information broadcaster, live 24/24 hours with your own TV channel managed by an automated system for your convenience, or you can be part of the community council as board member and decision-maker, for profit or non-profit. You have not to be just another member, passive, static. The community is open, collaborative, non-discriminating financial status, gender, religious, color. The community is oriented to business and professional development with social attitude and interest for improvement of the common society, safety, system, security, life quality first of all in our group of countries, in our neighborhood, and in other regions worldwide they want to join us and be fair with our Nordic-Baltic world and European area. The community also deals with passion for doing things and with sharing contents and opportunities with the other members. The members of this community, could be curios watchers or later could become your customers, or your suppliers. Buying and selling, proposing and distributing is part and aim of our community B2B because we like moving and creating things. B2BALTIC is a brand, mark, a new business style, as well as a symbol of “interaction” and representation of a “mobility”, “movements”, you are authorized to use and could be entitled to manage too. If you join B2BALTIC, you become part of it. B2BALTIC model is unconventional, not standard, and represents a new way to drive B2B and think a community of entrepreneurs. For example, in the community you can run your own TV program for business purpose, or broadcast “live” your business event, share your webinars, propose yourself as mentor, sell your company, rent your office, resell brands, merchandise, construct a new house, redesign a shopping mall, propose your pitch to investors, etc. The policies and rules are made clear and public for your attention: some of them may look like strict but are made for the good and stability of the community, for the growth, for your safety as well, as you are part of all this. We actively advocate for policies and legislation that support our mission and the opportunities we generate, and you agree and understand that is important for your business too, if you use the platform correctly, your don´t abuse of it, you act correctly with the community and its members, you respect all the law of your country first of all. All memberships can start free of charge, therefore you understand that the community is investing in you and expect you to growth inside, to generate turnaround, to contribute to the community a fair percentage of your transactions. However, inside the community, you can require anytime professional and paid services on demand, from the community and from the members. B2BALTIC is made for business in motion, it requires activity and participation that might be even free of charges. Then, if you don´t have a budget or you don´t feel confident you can start using the several B2B free facilities (free for you, but costed years of methodical work and efforts). You agree that you have been informed and you have understood the principles, targets and social mission of the hub B2BALTIC. You confirm that you have read all policies hereby and you have read also the minimal presentation under the link “about” which describes the role and importance of your participation as business-activist, and offered facilities inside the hub B2BALTIC. All policies, disclaimers and conditions of service are immediately applied globally everywhere in the world for our visitors, internet surfers, platform users, net-workers, community members, and valid for all our offices, departments, conference locations, business rooms, palaces, internet presences, pages, sites, platforms, services, workgroups, networking, facilities, business meetings, events, everywhere you are, and for all performances under the name B2BALTIC operated by the business angel and community main sponsor Janetschek & Partners and founder Mr. Daniel Janetschek through all the respective owned directly, indirectly, or controlled locations, offices, internet domains (example b2baltic.org), sub-domains (example nordic.b2baltic.org), all the related social media presences on facebook, twitter, linkedIn, pinterest, youtube, instagram, google+, youtube, etc, part of our global network of sites, and all the other authorized certified suppliers´ sites, that have joined B2BALTIC and been authorized to use the name of B2BALTIC for all or some of their activities. The “authorized certified supplier” of B2BALTIC may be mentioned simply as “B2BALTIC” in this agreement. We hereby write all of them above mentioned, simply and shortly as “B2BALTIC”, or “we”, “community”, “our” or “us”. All the above and below written policies and conditions are valid also when you enter our physical locations in the world, when you visit, watch, use, read, copy, share, link, redistribute our virtual locations such as internet pages, platforms, internal or external group with apps, articles, text, contents, medias, software, messages. While you use B2BALTIC pages under external social media (example LinkedIn), you agree also with the policies of the other platforms: for example, if you use B2BALTIC pages on Facebook, you accept also the policies of Facebook. You recognize Daniel Janetschek as owner of the name B2BALTIC, as well as promoter, sponsor, architect and moderator of the community together with his team. You recognize the “authorized certified supplier” as supplier of the services you use and manager of your data, as well as controller of the interactions in the community. While using, working, collaborating, networking, reading, surfing, interacting in one of the B2BALTIC community locations, interacting with us, interacting with other members, you fully agree and promise to follow all these policies and conditions written in this agreement you meet with B2BALTIC, the legal entity you have been assigned by B2BALTIC to (the so called “authorized certified supplier”). You approve that B2BALTIC instantly or later may assign you to a business legal entity, to a GO or to an NGO. The “authorized certified supplier” may manage all your data instead of the community owner. The authorized certified suppliers, that are allowed to represent and use the name B2BALTIC, without being owner of it, have been elected by the community management, or community council, are your contract party, it might be one or more than one entity, and they are authorized to store your data, manage your contract, provide you with services, assistance and performances, or to forward you to other service providers (for example an attorney to support you or accountant for your trade, or another supplier). In case of any legal dispute in the community, you shall deal only with the assigned “authorized certified supplier”. Contracts, documents, debts, credits, projects, if existing, can be transferred from one “authorized certified supplier” to another anytime everywhere in the world without any notification. You are entitled to ask the name of the managing structures of your account and contract. You also enter into this agreement and approve the community policies, when you send any application, filled-up form, for membership of for any other purpose (for example when asking a free quote or asking free or exclusive assistance, when leaving public comments on community articles, etc), online, or on paper, via messaging through any B2BALTIC site, or on any social media sites or locations. For your convenience this standard community policies and conditions are the same for each member of the community, provider, supplier, adviser, shareholder, partner or location. However, you may meet further agreements with other members, providers and all type of suppliers. Some locations may have different policies to integrate (frequently indicated at the entrance of buildings or sent by e-mail): you approve both if you come in and stay. Any changes we may make to all our policies and conditions in the future will be visible on this page and will be notified publicly on our official community twitter B2BALTIC or another. If you do not accept these terms and the general community policies hereby written, you are not authorized to visit the sites, not allowed to surf the webpages, not allowed to receive any kind of assistance (lawyers, accounting assistance, sales & distribution department general or specific support, etc), not authorized to buy/sell in the community, not allowed to promote yourself nor your business in any of our sites, and can not participate in general in our community activities such as trade meetings, networking, mentors exchange, events, expos, channels, B2BALTIC Awards & B2B Prize, can not receive free facilities neither. However, if you left tracks of operations, details, references, links or name, you can still receive messages from member of the communities. You can also check the information also on other websites of B2BALTIC, if you have visited them previously: facilities.b2baltic.org and tv.b2baltic.org. We are committed to protecting and respecting your privacy. We frequently remind our community members to respect the privacy and rights of the other members. This policy sets out the basis on which any personal data we collect from you, or that you provide to us, will be processed by us. Please read the following carefully to understand our views, commercial ethic and practices regarding your personal data and how we will treat it. By visiting our website and using these pages you are accepting and consenting to the practices described in this policy. d) To disclose your information, as set out below. Privacy laws of some countries give individuals the right to access and amend their personal information. If you want to request a copy of all your information you sent to us or want to modify, integrate or delete the information we hold about you, then you contact us to receive a faster feedback from us: fast way for getting feedback is using our social media account and messenger (for example Facebook). In all our sites you can find easily the links to contact us. If you ask a verification, investigation, cancellation or modification of the data you submitted previously or left by sending messages by e-mail or chat-messages on social media accounts, we may charge an administrative fee of euro 70 (seventy €) per hour for this specific work for your satisfaction (plus VAT if requested by commercial law) with a minimal of 1 hour of work to carry out. There is no specific assurance regarding time of execution of your request, but we take seriously your request and elaborate it as soon as possible. Your request about data removal shall be presented on a written form you send by e-mail or chat. Instead, request of removal from single mailing-newsletter or marketing lists is free of charge if you can remove yourself automatic usually using the button “unsubscribe”. N.B. The unsubscribing from a single mailing-newsletter does not mean that all your data will be removed on our systems, in the community and in the suppliers databanks. Mailings-newsletters could be more than one because the community has several workgroups you might have joined previously. Most of the newsletters use automatic system provided by our suppliers such as WordPress, Mailchimp, and other private ones: in that case in order to unsubscribe a newsletter you just need to follow their own “un/subscription policy” without any need of assistance from our side, any need to contact us. If you need support for administrative stuffs, you are informed about the cost of the assistance as above indicated. You have the right to ask us not to process your personal data for marketing purposes as well as to cancel you from lists according the policy of the paragraph C/5. Our site may, from time to time, contain links to and from the websites of our partner networks, advertisers and affiliates. If you follow a link to any of these websites, please note that these website-destinations have their own privacy policies and that we do not accept any responsibility or liability for these policies. Please check contracts and policies of them before you submit any personal data. COMMUNITY RIGHTS ABOUT DATA. If we, our community, members, suppliers, authorized certified suppliers, store your data is because you have given your data to them, left information about you in their locations, or used their platforms with more or less your own private or business traffic, or . Please do remind that in order to satisfy your specific questions and demands, our community managers and supplier might have to work even hours long to investigate, research, integrate, update, remove your data therefore you agree to pay always in advance the sum according to our estimation. You understand and approve this policy C/7 even whenever it might not be complying with the local law. This community rule is made to protect us from being spammed by many or complex requests that aim the abusive absorbing of resources just to slow down the community. Administrative tasks with data research/elaboration cannot be covered by your previous paid sales-packages or other packages provided by other facilities, or other advanced payments, because the typology of the performance is different and could be carried out by separated department, also by a legal office. c) our copyright notices, name and logos (B2BALTIC) appear in all copies, and all logos are linked to the related webpage of our platforms. 1.2 COPYRIGHTS. Unless otherwise stated, the copyright and other intellectual property rights in all material you find in our sites, digital pages, in all our network (including without limitation photographs, graphical media contents, videos, paints, pictures, logos, design, elements in general) are owned by us or by related licensors/copyrighter. Any use of extracts other than in accordance with clause 1.1 for any purpose is prohibited. If you breach any of the terms in this legal notice, your permission to use the elements automatically terminates and you must immediately destroy any downloaded, printed, published or extracted element otherwise a contract fine of euro 100 (one-hundred €) is charged at your cost for each copied element or page in breach of copyright policy 1.1 and 1.2. 1.3 COPY/SHARING/PINGBACKS. Subject to clause 1.1, no part of sites may be reproduced or stored in any other site or webpage, or included in any public or private electronic retrieval system or service without our written permission. However, social sharing of the whole content (link to the full digital content, page and elements) is allowed. 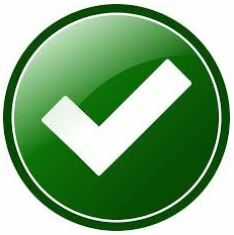 Pingback may be allowed unless blocked in some of our pages: pingbacks must contain same information and correct link. N.B. Pingbacks are authorized only on sites related to business-to-business, professional business journalism, professional blogs, business magazines. We are authorized to revoke authorization for pingbacks and links on your own webpages and digital storage, and ask you to remove them, anytime through simply notification to the contact you have indicated to your page or in other digital services if always connected to you; pingbacks are not allowed on your site if you do not indicate clear contact ways or are anonymous. Request of removal of links/pingbacks must be carried out by you within 7 work days because your links affect the reputation as well as damage the search-engine ranks of our pages. d) which is technically harmful (including, without limitation, computer viruses, logic bombs, Trojan horses, worms, malwares, harmful components, corrupted data, other malicious software or harmful data). For any abuse by you in breach of this paragraph 2.2. the community may sanction you a fixed contract fine at your cost of (twenty thousand) euro 20000, plus damages, plus legal expenses in court or out-of-court-of-law, calculated by a jurist representative of the community, and suspension of your account for undefined period of time even after paying the fine. 2.4 We shall fully report or co-operate with the community, any law enforcement authorities or court order requesting or directing us to disclose the identity, to block, suspend or locate anyone misusing or hacking in breach of clause 2.2 or clause 2.3. In case of breach of 2.3. the mentioned fixed contract fine amount of paragraph 2.2. will be charged to the hacker up to ten (10) times bigger. Links/referrals to third party sites/structures are provided solely for your convenience. If you use them, you might leave our community and network. We have not reviewed or controlled all of these third-party sites, other members of this community, or external, therefore we are not responsible of their content, availability or reliability. We don´t make any representations about them, or any material/solution found there, or any results that may be obtained from using them. You do so entirely at your own risk. However, if you have experienced something unpleasant by working with another member of B2BALTIC, you are invited to report the case and issue to us: we may want to investigate and help you to solve the problem for you. We help each other whenever possible. 4.1 While we endeavor to ensure that the information on our sites is correct, we do not warrant the accuracy and completeness of the contents. We may make changes to the content on the websites, or to the products and prices described, at any time without notice. The information on any websites may be out of date, and we make no commitment to update such contents. 4.2 The material on the sites is provided “as is”, without any conditions, warranties or other terms of any kind. Accordingly, to the maximum extent permitted by law, we provide you with the site on the basis that we exclude all representations, warranties, conditions and other terms (including, without limitation, the conditions implied by law of satisfactory quality, fitness for purpose and the use of reasonable care and skill) which, but for this legal notice, might have effect in relation to the site. 4.3 When you deal with members, suppliers and authorized certified suppliers of the community B2BALTIC, with or without assistance of one of our authorized community manager, all our policies are still valid and applicable. You consider valid our policies still during all business relationships and negotiations with other members. Please consider that the keeping safe all our policies and this agreement, inside and outside our networks and sites, can help your business and your safety in doing business with the other members. 4.4 Whenever your account or membership has been officially suspended because your breach of important part of this general agreement, terms and community policies, you do not have longer permission to continue doing business with any contact or member of the community, who has been previously connected to you thank the community. In such case of suspension, you can not continue any new transactions or negotiations with them, unless the other member/contact met a written contract with you at least 1 month before the suspension and a first invoice between you and them was issued already. We do not assume any responsibility for any inconvenient or damage generated by your suspension and the business troubles after the suspension. 5.1 We, our managers, editors, volunteer team, brokers, founders, mentors, authorized certified providers, our profit and nonprofit businesses directly connected to us, exclude all liability and responsibility for any amount or kind of loss or damage that may result to you or a third party, including without limitation, any direct, indirect, punitive or consequential loss or damages, or any loss of income, or low revenues for you in doing business in the community with the members or external, loss of profits, goodwill, data, contracts, use of money, or loss or damages arising from or connected in any way to business interruption, or troubles, or limited returns, and whether in tort (including without limitation negligence), contract or otherwise in connection with the site and our past/present/future services in any way or in connection with the use, inability to use or the results of use of the site, any site linked or the material/services on such sites. Including but not limited to loss or damage due to viruses that may infect computer equipment, software, data or other property on account of your access to, use of, or browsing websites or your downloading of any content from the website or any website linked. In no event shall our liability and our suppliers (and those that we work with to provide the services) exceed, in the aggregate for all claims, your last paid fee for your membership, and anyway no more than euro 1000 (one-thousand). B2BALTIC and the management is anyway never responsible for any damages from any internal or external mistake, or for any mistake of the suppliers and of the authorized certified suppliers under the name of B2BALTIC, for any liability and for any amount, and for any business relation between you and another member of the community. However, in case of issue with the community or other member, you are entitled to inform us privately and confidentially. 5.2 If your use of material, content, applications on the websites, or services from us or our members or partners, results in the need for servicing, repair, improvement, development or correction of equipment, software, webpages, systems or data, you always assume all costs thereof. All services and products are provided “as are”. Extra performance are not for free unless differently indicated for a specific product. For example: video-sharing/video-showing service may be free for members, but video-editing/video-elaboration, if necessary to deploy for your better presentation as well as for community´s reputation according to our technical opinion, may require time and costs covered by yourself. 5.3 Community fees, any contributions, any payment for ordered goods, donations, service costs, support costs, membership fees, etc, are not refundable from the same day of the payment to B2BALTIC or to the authorized certified suppliers of the community. In the rare case because your mistake or a misunderstanding you have paid more than needed, the extra amount/difference/surplus will be however automatic invoiced and considered as advanced payment for further future contribution or converted into support packages, or assistance, according to the public community tariffs. 5.4 If you are not owner of your business but employee, and you have activated the membership in the community on behalf of your business owners or under your own initiative, we are entitled to contact the business owner and responsible of your structure for any legal, commercial or accounting purpose anytime. Disputes arising in connection with this contract, services and policies, shall be subject to the regulation expressed in this contract in the following paragraphs: see paragraph “E”.16.0. 7.1 MEMBERSHIP. From this moment we consider you effectively a member of the community and part of it, for profit or nonprofit. You promise to respect the community policies, these terms and conditions, and you are assume responsibility for each transaction and trade inside the community between you and the others or between you and us. 7.2 FEEDBACK FROM B2BALTIC TEAM. We give feedback to any present or future submission from your side of applications, messages, requests, or refuses it by messaging you as soon as possible without any time-limit and according to our work traffic. It might take even several weeks before we give a written feedback. However the validity of this agreement is immediate automatic after your sending, use, visiting or surfing our networks, sites and locations. The time delay in the giving feedback to you does not influence the execution of this agreement because from now, you can immediately start using the know community facilities (see our pages to be informed about the list of the actual provided facilities) for your own business: for example participation in networking, submitting contents, posting, sharing on our social media pages (ex. LinkedIn, Google+, Twitter, Facebook, YouTube, WordPress blogs, etc), commenting articles, sending videos to our redaction, booking proposed events, proposing new events, proposing contents or pitches, asking to join workgroups, contacting other members you meet in our workgroups, or social media groups, etc. Your use of our facilities and your following of our recommendations allows you to be seen and promoted faster inside the community and also allow you to get a faster feedback from the typically overloaded community team. Your passivity inside the community does not accelerate the evaluation of your business and product, and does not accelerate your integration, it slows down your integration instead. It is up to you whether you show your business initiative inside the business community, from the beginning, or not, in freedom. Normally activity instead passivity get rewarded (for example with resharing your content). Communication skills and competence in writing articles or adverts, or using online media platforms, social medias, for your business purpose is required from your side. 7.3 SERVICE DISCONNECTION. We are entitled to temporary disconnect without notification all services and your membership, access to platforms, regardless if free or paid membership, anytime also without any notification in all our websites, or part of them, social media pages, groups, software, etc because of maintenance processes or other technical operations. We are entitled to disconnect and suspend your account anytime also in case or payment issues, unpaid invoices, debts from your side, regarding agreements between you and the community, or between you and other member or suppliers of the community. 7.4 EFFORTS FOR A BETTER COMMUNITY. We shall make reasonable and necessary efforts on all part to ensure the reliable operating of the platforms and community; however, failures cannot be completely excluded due to their digital and human nature. You shall immediately notify us of any problems that occurred upon using the service. Thereupon, you shall state type and complete description of the problem, and attach a screenshot to show the issue clearly to our technical support. Your collaboration on this matter helps build up a great functional community for all members. 7.5 ASSISTANCE TIMING. Our community managers, members and other suppliers in the community provide you with assistance, technical/commercial support and help in negotiations between you and other members, without a specific timing to operate and fix any kind of issue, unless you meet a different agreement where the time plays an important role for you. Please, be sure that you meet a specific extra agreement with us and with the other members in advance if timing is very important for you. 7.6 USE OF SERVICE. The user is entitled to use all our services according to his or her wishes and needs but pursuant to its intended purpose, good customs and practice, always complying with the international laws and with our community policies. 7.7 SOFTWARE USE. We may want to active specific software for your business purpose, for free or paid. You undertake all responsibilities and use the services in accordance with the technical and anyway not over the limits of: max 400 MB total stored data and max 1 GByte data-traffic per month, max 9.000 used inodes, max 1 database SQL-compatible user (limit may change according to further negotiations and agreements between you and B2BALTIC). In subsequent cases of limit breach, we can notify the issue and eventually temporary disconnect the service also without any notification (disconnection might be carried out automatic by the system). Additional performances fees might be charged if you want to use the services after the limit crossing. You can contact us anytime you want to elaborate a special convenient plan and pricing for you, in case you want to use our free or paid software. 7.8 FINANCIAL ISSUES. We are entitled to suspend the provision of services for undefined period of time, to you and all your sub-users, in case of delay in performing your financial obligations, new or old, or if one of your user is in breach of these policies or other contracts in any other way or other agreements connected with B2BALTIC or with other members of our community. We are entitled to pursue the collection of any debt that you have with us or with other members. You agree that we can do recovery of the debts, directly, or indirectly through another structure, also using legal enforcement, legal practices or private businesses, regardless if the debt has been invoiced or not yet. In case you want to collect a credit from another member, the community, and our authorized certified suppliers you have been assigned to, are always entitled to collect debts on your behalf as well, whenever the debtor is a member of our community as well, or in case you have met the debtor inside the community, or you have been forwarded to the debtor by our work or recommendation, or the debtor was forwarded to you by us. However, we may refuse or interrupt to collect debts anytime giving you information and advise. Whenever possible, our community lawyers are ready to assist you in your credit collections and other kind of legal issue. 7.9. CONTRACT TRANSFERRING ANYTIME POSSIBLE FROM B2BALTIC TO THEM, AND FROM ONE TO ANOTHER. Through this policy/contract, you meet agreement with a legal entity such as a private company, profit or nonprofit organization you are assigned to, as explained in the first part of the policy section “A”. You agree that all the data you submit and all the agreements you meet with us are fully transferred to this entity anytime, hereby always mentioned as “authorized certified supplier”. An authorized certified supplier can be one or several and introduce themselves under the same name B2BALTIC. These entities assume full responsibility both for the general B2BALTIC services and for the storing of your data. When you are a member of the community you are entitled to ask which structure store your data and is responsible in providing you with the community facilities from that moment. However, during the time of your membership the authorized certified supplier can be changed without any notification. The change does not modify any service, nor your membership/agreement. An authorized certified supplier is usually a safe structure that B2BALTIC trusts. Your business could become an authorized certified supplier as well if you pass a specific exam to get the certification and permission to operate under the brand name “B2BALTIC” as community manager. Since the beginning of your membership you may receive the invoice from the authorized certified suppliers in case you buy specific services or paid-membership or assistance, research, performances, legal support, etc. Authorized certified suppliers may be registered in different countries, have different name (however always indicating that they are “authorized certified supplier of B2BALTIC”). You agree that for any question, dispute or cases related to your membership, services, invoices, liability, disclaimers, you always direct any action to the authorized certified supplier only, not to the community owners. However, the authorized certified suppliers may demand you to use always the application and submission form of the webpages of B2BALTIC for any of your requests and issues. In many case the transfer of the messages is automatic from the page of the community to them. As written in the community policy you are aware that B2BALTIC and its authorized certified suppliers use the same policy written in this section and that all responsibility and contract execution is fully transferred to them. The digital interface on our webpages simply connect you with the authorized certified suppliers. Authorized certified suppliers as well as all suppliers/members in the community, are entitled to transfer your data, profile and agreement to another supplier, legal entity in order to provide you with the best membership experience. All suppliers handle your data strictly according to the community policy however and agreed with this policy too. You can not oppose or obstacle the contract transfer to avoid any kind of interruption in the service delivery, technical or accounting issue, or damage to the suppliers. All our policies, disclaimers, terms and conditions mentioned hereby will be always valid and will never expire, applicable to all, to you and to all the suppliers, regardless of the supplier name and location. Whenever B2BALTIC update the community policies & conditions, the suppliers use from immediate the same updated policies with you, and you are informed of the update following the community on Twitter or other networks. 7.10 ADVANCED CONTRIBUTIONS AND PAYMENTS. NO REFUND CONDITION. You undertake to pay always in advance for any paid service, paid support, ordered goods, or paid memberships, where a payment is required. All costs and paid fees are not refundable, nor partial refundable from the same day of the payment. All paid amounts are invoiced by an authorized certified supplier under the name of B2BALTIC. All amount may be charged still with VAT/tax if necessary at your cost. Transfer bank fees are at your cost always unless you met an other specific agreement to manage a specific task or transaction. 7.11 CLAIMS OF THIRD PERSONS. In case the claims of third persons are directed to us because of any illegal activity of your account (incl. failure to perform any obligations undertaken to any third person), you shall also indemnify us and all our suppliers for any loss, work and costs incurred in connection with the claim according to our administrative hourly fee above mentioned in C5. 7.12 RAPID REPORT OF ISSUES. You inform us immediately and report any kind of abuse, unfair behavior, bad performance, transgressions, unpaid invoices for delivered services/products, you have seen from other members, users, suppliers of the community. We and the community attorneys could decide to support you or not, even by applying fines, sanctions, service restrictions, suspension, debts collection, and all kind of legal action against the reported member. All the community administrative expenses as well as the legal expenses calculated by a community lawyer go to the account of the transgressor. 7.13 STRICT CONFIDENTIALITY, NON-DISCLOSURE, RELATED ABUSES AND FINES. You undertake to keep strict confidential any sensitive information you have received in the community or about the community, industrial secrets, any communications from B2BALTIC to you, information concerning other parties, members, suppliers, specialists, you receive by transacting with anybody. You don´t copy or distribute any confidential information without written permission of the information-owner or copyrighter. You do not disclose any information related to the agreement with us and other suppliers or members. You do not publicly or privately inform or make aware any other person about any issues you have encountered during your membership and related to agreement with the community, authorized certified suppliers and any other supplier. You are committed to respecting the confidentiality without any abuse of the networks or disclosure of issues through amplification. The confidentiality obligation shall remain in force before and after the expiration, or termination, of any past, present or future agreement, membership or service in B2BALTIC, as well as of this policy. You approve that a breach of the confidentiality by you applies a fixed contract fine of euro 4000 (four-thousands) at your cost, plus damages and legal expense. The above mentioned contract fine is 10 (ten) times bigger if your breach of the policy was oriented to use, sell and however to disclosure confidential industrial secrets. The community also reserve the right to order a criminal charge against you, in your own country, in your place of residence, or any other country where your breach of confidentiality is visible and with defamatory orientation. B2BALTIC fights against abuse of networks between members when members act just oriented to harm others, bother, spams, breach agreements, broadcast annoying propaganda and fake defamatory information. E) Standard terms and community rules for all tasks. 1.0 Self-advertising, your self-promotion. B2BALTIC community tolerate and encourage self-advertising, obviously if the advertising does not assume the form of spam nor the form of low-quality contents or medias. Therefore you can promote yourself, for free or paid, also using our workgroups, social media business groups, department, social media presences, and the other networking facilities, both online or physical locations when available. All information about the services & facilities offered to the members willing to self-advertising are published time by time on our internet pages and may change or be improved anytime. However, to avoid abuse and spam (and eventually also little mistake from your side which might be considered spam) we may have active moderators (for example group moderators on LinkedIn, or location-responsible of physical premises in a city, or project directors of a department, etc) authorized to filter contents or block facilities. You keep yourself updated about the facilities and initiatives of the community watching our informative pages. You follow the group/social rules indicated by the moderators in order to assure a qualitative B2B. Groups (for example) on LinkedIn may have differently rules. Group rules may change by the moderator anytime according to regulations, laws and trends, without any need of notification and without need of change of the this community policy for this purpose. For example in some groups or forum some advertising might be considered not interesting, or not-well-made, with or without errors, in breach of confidentiality, annoying, repetitive, or the subjects might be considered out-of-topic for a specific group (in that case you can ask us which group or department might find interesting your topic). Our moderators are allowed to integrate, redistribute, share, edited, postponed, comment, remove your topics anytime without any notification. Smart contents might have priority. If you don´t feel confident in marketing-yourself, you can ask the community to assign you a marketer to support you and avoid marketing issues or damages of your reputation. Our community has several professional members and digital marketing couches able to help you in this matter. Moderators, coordinators, project managers and community managers at their own discretion may limit or remove your access or participation to any forum, group, platforms, event, conference, depending on the topic, your business category, your region of provenience, the type and quality of your content or way to introduce yourself, the target of your content, or if breach this community agreement in any part. A paid membership does not grant you rights to bypass the moderator decisions, nor the group membership, whether your advertising, presence or content can be made public or cannot. The community reserve all rights in order to coordinate and assure higher level of quality in the community and the other members, and does not assume any responsibility according to all legal disclosure (C) above mentioned in this agreement. In fact we aim to increase your reputation and empower you in the community, following our own industrial strategies, therefore you are required to follow these policies. If you feel not understood or misunderstood by the moderators and by community managers about any of your actions, you can contact us or you ask if you can create your own channel, department or office in the community: in this case we ask you to explain your wished and we will send you our proposal. The community has supported several ideas and group even for free in the past years. You can also negotiate your position in the community, if you think you want more or just be different from the others, or assume responsibilities for a portfolio. 2.0 Changes. We may modify this agreement and policies from time to time. If we make changes that are not just a correction of orthography or syntax, not of low relevance (changes of sentences for improvement of the text that however do not change the rule), or not just decreasing fees, then we will provide notice of the change of the general policy text through our press account on Twitter www.twitter.com/B2BALTIC or another. You agree to follow us on Twitter from the start of your membership to be correctly on-time informed about changes as well as any events in the community. This provides you with the opportunity to review the changes. If you object to any changes by messaging us, your membership might be terminated, or continued, fully or partially, with the old agreement at our own discretion. If you don´t object after the twitter notification about the update of the policies within 10 (ten) calendar days, then it means you have approved the updated terms without any further opportunity of objection. If for any reason you are not able to read the notifications on Twitter, however, you can still read and update yourself by reading the notification lines on our webpages and on this policy page (which not require you to obligatory have a Twitter account). We recommend you to visit our homepages on internet at least not less than once a calendar week to stay informed also about all community promotions and new facilities. Reading our lines and updates is also important thing for your business improvement and potential deals. We may change, suspend or end any service, product, facility, type of membership, or change and modify fees and contributions, prospectively in our discretion. To the extent allowed under law, these changes may be effective upon notice provided as above mentioned. 3.0 Community Purpose, object and active participation. Object of this agreement is your participation in B2B (business-to-business) tasks in the community, sharing contents and events, for promotions and any kind of advertising tasks, to propose your events and invite members, for brokerage, for building-up structures through an interface between capital markets and smart ideas, for any corporate purpose, buying and selling as well, for profit or nonprofit professionals. B2BALTIC aims to motivate and broadcast you, to generate business, communications, sales power, brand positioning, jobs and partnerships opportunities, using several channels, own networks or external, advertising, recruiting, marketing and professional media techniques, however without any commitment or promise. In the community we may want to share your valuable contents, increase your reputation or make you famous, broadcasting your brand, or talking about you, or exporting easier your product to your neighbor country (may require professional extra services whenever it requires more work and attentions, however no extra fees at your cost before your approval of the extra services), talk with local or foreign associations, organize or promote or film business events, to let you talk in a TV show, or run your own TV program, to distribute your videos presentations or video adverts, to post and redistribute your smart articles, share projects, resell your product, engage investors with your crowdfunding campaign, improve your business-plans, and so on. Although we target B2B (Business-to-business relations) we may want to support time by time B2C (business-to-consumer) for example in our online-shopping of exclusive goods, or your online-shopping platform. The community is focused and devoted to Finland, Sweden, Estonia, Latvia, Lithuania, Poland, Denmark, Western-Russia, but also historical involving other market places and professionals such as entrepreneurs from Iceland, Norway, Germany, Austria, Switzerland, Italy, USA, UK, Emirates and other countries worldwide. We aim to offer you free or paid access according to your category, segment and geographical position. Regarding the limit of the facilities and restrictions of the free services according to your geographical position and segment of activity, please keep yourself updated by visiting our informative pages or ask us. We always assign you to fair authorized certified suppliers (under the name B2BALTIC), or competent suppliers (member but not under the name of B2BALTIC) or any product-suppliers that are committed to operate under the community rules, for the community and common good. 4.0 TV, media and video contents sharing. B2BALTIC is trading and broadcasting community with own platforms therefore you may want to be promoted, involved and motivated to be active member in the community. We want you to stay with us from now and for all next years, and we handle your media contents seriously and professionally according to this policy and general agreement. You agree that we are authorized to talk about you and your business, anytime with or without any notification, showing fully or partially your contents and medias you have indicated to us. You have to expect it anytime, however depending on the contents, topics and quality you have share with us time by time. We are allowed anytime to broadcast you, to send you and your contents “on air”, on our networks, channels, groups, media platforms, pages, sites, or external networks, without any restrictions and limit, exclusively according to our planning, palimpsest, programs, etc. also according to the other paragraph of this policy and especially to following paragraph E9.0. A media content can be an article, press release or news about events or performances, pictures, videos, audio interviews, found anywhere on the sites under your names or the sites you have indicated to us by sending applications in the past, or made for you by B2BALTIC, in the past, present or future. All contents could be given from you or may be extracted from your sites, channels, by our community managers, authorized editors or our authorized certified suppliers, for any promotional, commercial or legal purpose. Any public content (text, picture, audio, or video), found on your sites or channels (example YouTube, Vimeo, your corporate pages, etc) are obviously considered public and usable for us and following the community purpose, unless you have locked them in private pages with access restriction through a password, therefore not on public web platforms: in this case we will not consider public such contents/medias and we will ask your authorization to publish them publicly on our networks. Contents may be integrated or merged fully or partially with other contents, edited, hidden. N.B. Some copied contents from your sites and published on the community sites may have or not have indication or mention about your name or site, but however may show your product or your contents: this happen frequently when we handle video contents. Your professional profile picture, we find on your LinkedIn profile, or Facebook, or Twitter, or other network can be chosen by B2BALTIC, copied and published on one or more community page, or social medias to make you “known” on our networks. Your business logo may be displayed on our sites. We are entitled to write your name on any of our sites, pages, social media presences, locations, digitally or on paper, in private exclusive listing or public. We may add your name along the picture, link to our pages, link to your pages or to any other page controlled by the community editors. We may want to create a page about you for free to empower your name according to our public/private community case studies. Contents on our own webpages and sites may be changed, updated, moved, removed anytime without any need of notification. When you create an event (conference, meeting, publicly) we may want to promote your event or to create a new event on our platforms to support your event: for this purpose we can use software, web, TV/radio broadcasting, or social medias like LinkedIn, Twitter, Facebook, YouTube and others. The spirit of initiative of the community is important for you and your business purpose and can not be limited. You are owner of your contents and videos, and you grant to B2BALTIC a non-exclusive worldwide and perpetual license to freely sub-licence, re-distribute, re-publish, re-marketing, monetize. You obviously retain all ownership right of your content, and you agree to share all those rights in order to share the video/contents with us. Whenever we have copied, elaborated and published contents related to your stuffs, for free as community activity and initiative, or for paid, you can inform us if some contents are no longer updated (for example a change of your business logo or your profile picture) and ask if we can update them on our pages: sometimes is not possible to change old contents (example your old business logo inside a video movie) but in the case the modification/update is easily possible according to our technical staff, do not damage the platform or previous works, then you can just pay a media-editor fee of euro 100 € (hundred€) per hour of work, unless you have arranged a different fee and met a different media contract for your specific case with us or one of our media editors. Your name, profile, logo may be displayed anytime on our sites and networks, sponsored and promoted with any indication: for example we may decide to amplify your name and logo showing it on a public member page and listing with the other partners or members like you. It is not allowed to push B2BALTIC to publish, update or removal your contents anytime, since B2BALTIC is the only authorized editor allowed to program the palimpsest and published contents in the community. Request from your side, oriented to obstacle, influence, or revoke the sharing rights of B2BALTIC is against the agreement and community purpose therefore forbidden and may cause applications of penalties at your cost according to our policies and the following paragraph C.15.0. When you have a business event, in a physical location (example business conference in a palace in a city, and you have invited business people to participate), officially promoted on web or not yet, regardless if you have informed B2BALTIC directly or indirectly about the event, or B2BALTIC redaction has noticed your event on internal/external networks, B2BALTIC and our TV operators, or through our authorized TV suppliers, journalists or cameramen, are allowed to film full or in part the event; B2BALTIC reserves all rights and copyrights of the produced film and can integrate, edit, modify, distribute, etc the self-produced records according to our policy like for any other media content; the TV operators and cameramen may come from the beginning or later with or without any notification depending on multiple organizational reasons and regardless if the TV/cameramen service is paid or free of charge; you promise to let in our TV operators or community press managers and let them film at your public event; you always remind to inform your guests that you are allowed to film the event (and this is very important for you and your business); if you are allowed to film your event, you have informed your guests in advance in your letter of invitation, in case you are not allowed to film the guests but only to film yourself, or your speakers, keeping all guests back from the camera, then you can inform the cameramen or journalist at the beginning of the event; however, we may want to inform you in advance about our presence to film your event to avoid any misunderstanding (in very rare case our TV/press team join the event without notification: in this case you can contact us and verify is they are authorized or not – B2BALTIC operators shall demonstrate to you to own a written permission from us, however, otherwise they are not a team of our community and you can refuse them anytime you want, unless their names have been indicated by our community in advance). Please remind that sending TV/press team to your event costs for the community as well, and the aim is to talk about you. All filming procedure carried out by B2BALTIC and an authorized team may record video and audio sequences, and we own all the rights of the media contents. Whenever you agree to be interviewed by B2BALTIC for our business journal and in general for all community activities, in person, per skype or similar, per phone or in any location, with the aim to listen to you and talk about you or about your stuffs, B2BALTIC also in this case reserve all the rights and copyrights related to all records, audio tracks, video recording and may handle any record of the interview like for all other media contents in freedom and for undefined period of time regardless from the length and expiration of this agreement or termination of your membership. 5.0 Age restrictions. You’re eligible to enter this agreement starting from your 16 years of age but with an important remind: you are authorized to use our services when you are at least at “Minimum Age” of 18 years. We will not ask you the age or date or birth, we will trust that you are. If not, you are not allowed to share or communicate with the community. Your membership and this agreement will be frozen (but not cancelled) until your 18th birthday. We may ask to control shortly your identity card issued by a local authority to be sure of your permission to participate to community operations. From the age of 18 your membership will become operative without any need of notification and you are allowed to share and communicate with the community. B2BALTIC YOUTH is developing extraordinary facilities, networking opportunities, educational exchange, from 16 till 22: the platform YOUTH is under development; we will keep you updated about the news, and we are proud to say, you are already with all us. 6.0 Tax, payments between members in trade. You honor your payment obligations with all members and suppliers of our community, who have also approved the same conditions and obligations. You understand that there might be taxes (ex. Country/EU VAT) added to our fees, we may want to collect from you to comply with commercial laws and may be also not refundable). Bank transfer costs (through banks, PayPal, credit cards, etc) as well as currency exchange fees during any transaction from you to us, or from you to another member in the community, are always obviously at your cost. All indicated community contributions/price-lists are net of VAT taxes, special taxes if required by law and expenses. We and our suppliers/members don’t guarantee any refunds for partially used services or memberships, or for return of physical products unless the product is broken or damaged or the delivery contract was not correctly processed, or the delivery agreement you met with one of our member allows you to ask for refund. Suppliers and members (they are not B2BALTIC, they do not represent the community and do not work under the name B2BALTIC, but like you they are member) may want to introduce their contract to you, with a different refund planning, before they deliver products or service to you. Please always read carefully all delivery conditions with them to avoid misunderstanding. In case of any issue encountered with other members or suppliers in the community, you can report the case to us. 7.0 Community Newsletters. You approve to receive eventually time by time our community newsletter, invitations to business events, eventually notifications and messages per mails, messengers, chats or phones, to stay informed. However, our communications are not frequent and don´t target to bother you with annoying initiatives. Please remind, if you unsubscribe our community newsletters, or do not give feedback to our messages regarding this agreement and its execution, or you filter or block the notification from the community, through the automatic unsubscribe button, or through other manual/automatic filters, we may decide to suspended your account and membership for undefined period of time without any need of further notification. If you have unsubscribed one of our newsletter (signed by B2BALTIC) for mistake, we recommend you contact us. 8.0 Truthful profile and “B2B Host Program” for sharing of physical locations/premises. You promise to only provide information, advertising, products, details, your data and any content (video, text, documentary, etc) that you have the right to share, and that your personal/business data and business profile, you have sent to us or updated in our database, is truthful and updated. If you have joined the “B2B Host Program: Be an host by sharing your location with another member, another member might host you too”, it means you have expressively agreed that you can be an host and your location (private or business premises, physical structures, space or real-estate, under your ownership directly/indirectly, or under your management, or belonging to your business partner or another person but you are sure you are entitled to use it) may be shared anytime with at least another member of the community, at least twice a calendar year for at least 2 (two) hours of time during the work week. However a) any member who joined the program is in right to ask B2BALTIC to be out from the B2B Host Program for undefined period of time; b) future dismission of the B2B Host program you previously joined, it requires you to pay the community a dismission penalty of euro 200 (two-hundred €); c) update of address of the location it requires you to contribute with euro 40 (forty €) per time; d) there is no commitment for a member/guest to return the favor to the same member/host. e) this B2B Host program is free of charge, members cannot requires the other members to pay fees for the borrowed location; f) the host with a successful hosting receives one (1) hosting-points; g) the community or the guest/member may review the host later also publicly; the host has the same right to review the guests; h) the space offered by the host to the guest shall be bigger than 15 m2 (qm), complying with the security and safety policy of the country of the location, and moreover providing enough privacy, quiet place, furniture in good conditions, cleanness, light, at least 4 chairs for a business meeting; i) the member/guest who get hosted by another member is allowed to cancel the meeting, revoke the need of space anytime with a simple notification to the host, but the host is not allowed to cancel an arranged hosting unless the host pays instantly a fix contract penalty to the member/guest of euro 100 (one hundred) to multiply for each group of 10 invited guests to cover the damages; j) the member/guest may invite to come into the host location up to the maximal number of accepted guests (example: the host may want to make available a business room suitable for 12 persons, so the member/guest can invite up to 11 guests in the same session), regardless if her/his guests are member of the community or not; k) the member/guest is present in the location during the arranged borrowed time and moderate the session in person; l) the member/guests, the member´s guests, and the host, introduce each other with a professional dress code; m) all the member´s guests shortly introduce themselves to the host, and the host is in right to introduce host´s work activity and business experience to all the hosted guests in her/his location for a presentation session not longer than 10 minutes, to carry out at the beginning of the conference or at the end; n) at the end or begin of any hosted conference, the host and guests may have a free business networking session all together however without any commitment; o) host and guests are fair to each other; p) the host does not assume any responsibility for any technical issue or accidents occurred during the session; q) the host can mention the member/guest in the public review, but member´s guests cannot be publicly mentioned in order to protect they privacy; r) B2BALTIC does not promise to keep online a platform for the reviews, but promises to keep note of the points, if correctly informed s) B2BALTIC may use the collected points by the member/host for any kind of reward program in the present or future; t) points do not expire for all the contract length; u) the member/guest, who organizes the meeting/event and get the location from the host is allowed to keep secret the list of the invited guests; w) if any agreement was met in the past between you and B2BALTIC regarding your premises/locations and your ability to host the community and our members, then the previous agreement for hosting is still valid until the natural termination of this contract, however integrating the previous agreement with the current policy hereby mentioned in E8.0, unless the address of the location changes; x) B2BALTIC may publish a list of the available members/hosts to inform the other members of the community about the available locations; B2BALTIC may want to join the event/conference, organized by the member/guest and hosted by the member/host, as TV operator in order to film the event, for live broadcast or time-delay in the case the event is public, with or without paid entrance; the TV operator and cameramen of B2BALTIC may join the event full free of charge; y) members/guests are entitled to require a location from a member/host, only if they have joined the “B2B Host Program” too, and they make available one of their own locations; z) there is no limit nor restrictions for the authorized TV team of B2BALTIC, unless the event is declared strict confidential or the event is a private meeting, not a public conference. 9.0 Use of content and distribution rights. As also explained in the lines above mentioned in this policy, as between you and the community, you own the content, material and any information that you submit or post or link (for example when you send us the link to your webpages), or found inside the link (for example content found in your business homepage, or in your social media profiles, etc) or sent to us, or to any member, in the past, present and in the future. You do not lose the ownership of your contents. Like similar in YouTube and other platforms, you grant us, a worldwide, transferable, “sub-licensable” and “non-exclusive” right to use all the above mentioned content, material and information, as well as right to copy, translate, edit, mix, integrate, distribute/redistribute, re-marketing, share, publish, give for free or sell for profit, broadcast for your business purpose or for community promotion, as well as for promotion of our closest partners and all our own brands/networks, all type of contents, such as articles, medias, photos, images, logos, videos, documentary, comments on our blogs, posts on our groups, etc., without any need of further consent or notice, without any need of compensation or fee payment to you or others. These rights are not time limited and regardless of the status of your membership, type of agreement or termination. This right of B2BALTIC to keep for undefined period of time copy of that content on its systems, groups, pages or supplier´s pages, do not expire. In extraordinary case, if your reason is correctly explained, promptly reported to us before the publishing/editing of the contents, and exclusively in the case you have proved to experience a severe legal trouble because of your own video and copyrights ( it happens when you have not properly nor correctly used contents that still belong to third parties, and you were not authorized by them to use those contents, so in breach of their copyrights) then we may decide to extraordinary approve the temporary or definitive cancellation of those contents, obviously at your cost. Please remind that the future cancellation of contents such as text, videos, pictures can seriously damage the community data-bank, the video library, the rank of pages, or damage successful videos (for example on YouTube) paid by community investment or created by community editor work, regardless if free or paid services. Therefore, termination of the grant of share a specific media or removal of it may be possible however not immediately: from the date of receiving your official letter with the request of removal and legal explanation as mentioned above we will do our best to come towards to you, however at your cost. Please keep in mind the two cases: a) removal of your content for your own wish and without any legal explanation, not related to any proved dispute, requires you the payment of a support fee of euro 80 (eighty) / hour at your cost for our media work, for any single media objects (example 1 text, 1 video, 1 picture, are 3 objects) you want to remove from our own pages (pages under our direct management, excluding pages under other´s management), plus damages and eventually legal expenses in the case the removal damages previously made promoted videos or contents by community promotion activities, whenever the promotion activity of that content was provided by the community and was free of charge for you; in this case (a) we don´t promise to immediately remove the content and it may take time to act the cancellation and avoid damages for the community contents. b) removal of your content for your own interest because you have proved a legal dispute about the content with another party because of the breach of the copyright, then the community after receiving your official letter and demonstrations of the trouble, or a letter where you explain that the content is in trouble before you enter a legal dispute (you have put in your webpages without authorization of the real owner/copyrighter or in breach of third parties´ policies), our community will be fair to you and operate removal as soon as possible without asking you further explanation; in this case (b) you cover our work hours like in the above mentioned point (a) and you pay a contract fine for the breach of copyright of euro 1000 (one-thousand) for any content you ask to remove to solve your legal trouble. It is important for our community and for you that you own the rights of your contents and you don´t abuse of third parties copyrights. Whenever a copyright owner legally complain against you or active a dispute because of your breach of the national or international copy rights law, you obviously assume all responsibilities and cover also all further legal costs and damages we encounter or experience because of your breach. However, we make clear, that any previously “licensed” video content, medias, text, edited or laboriously integrated or sold to others in existing popular videos, movies, films, articles, documentary, research, etc, as well as any next planned movie integration already under elaboration, may be removed in our community but may not be promptly removed from other external networks or pages not under control of our community, database, websites, social media accounts, storage and from all part of the community or outside (example, you have previously given to us a interview audio track, but it contains a song in background, the song is protected by copyright and you don´t have a regular license to use it, and the song owner find it and decide to claim against you for copyright breach, then it is your own trouble). To avoid any issue like that, with risk of costs, fines and damages for the community, we warmly recommend you to publish on your channels, pages, profiles, only correct contents, respectful of other´s rights. However, our community will be fair to you and will not operate any copyright control, nor indicate your issues to the copywriters (if we have been informed from you about the legal issue), we will trust you and consider you owner of those contents. Our post-processed contents mixed or merged, fully or partially, with your contents, our own contents and with other members´contents, can not be changed, copied or destroyed without our written permission and without a coverage of the time and expenses for the re-elaboration. You are expected to publish on your websites, and platforms such as YouTube, LinkedIn, Twitter, Facebook, Vimeo, etc, only contents and graphics complying with the law and always with the rights of third parties, and you are entitled to use all those media/graphic elements and text. We are always entitled to extract medias and general contents from the site you indicates to us, sites of our members. You shall not extract contents from sites of other members of the community without written authorization of the content owner/source. You shall not extract any contents (medias, logos, text, etc) from the community sites, from our platforms, without our written permission. 10.0 Complying with law always. You only provide contents, truth data or information that does not violate the law nor anyone’s rights (including intellectual property rights). 11.0 Storage of content. We don’t promise to store, publish or keep showing any information and content that you have given us, posted or shared on our networks. 12.0 Limit of responsibility for misuse. You agree that we are not responsible for others’ (including other community members’) content, information, services, goods. We can not always prevent misuse of our media and trading platform. You acknowledge all the business risk that you or your organization run or may be mistakenly associated with any media content (picture, videos, text, etc) when we let members, visitors, people and followers know you or your organization as mentioned in our news, pages, movies, articles, press, tweets, posts, advertising, etc. You must report us immediately any issue if there is something or somebody who bothers you, above all if it deals with another member of the community B2BALTIC. For all limit of responsibility, read careful all the policies and the above reported legal disclaimer D.
13.0 Intellectual property rights of B2BALTIC, protection of special name and community names, partnerships and commitment (see 13.1). You approve and respect that we, our community managers, our internet domain owners, brand and name owners, reserve all the intellectual property rights in the names, logos, design, protected names, services, models, products, and the word brands, protected names, partially or fully written as, regardless if registered trade marks or not yet “B2BALTIC”, “B2BALTIC.TV”, “B2BALTIC.ORG”, “LUXURY NORDIC HUB LNH”, “DACH-I”, “DBS DOING BUSINESS IN SWEDEN”, “Italy Baltic Trading Club”, “Italia Baltico Trading Community”, or similar, “Daniel Richard Janetschek”, “DJ of B2BALTIC”, “Janetschek & Partners”, “Janetschek & Partners Developers & Attorneys”, “Baltica & Partners”, “Global Movement Smart&Digitalcities”, “Smartdy”, “Directors TV 24h”, “Directors TV”, or part of it, “written in any way, integrated, partial, half, together, separated, combined, similar, with or without capital letter, or translated into any language, or mixed with other contents, and all marks, design, logos, medias, pictures, displayed in our sites, regardless whether they are registered marks or not yet. You shall not use all hereby mentioned names in internet, on your pages, or search-engines, or outside internet, or in any physical locations, without our written permission. As a member you can use our services and mention our names, or even protected names to others (for example in your referral activity when you want to pass our names, links, brands to other people), but anyway this advantage does not grant you ownership of our services, contents, name, protected names, or information made available through our sites, emails, social medias, platforms, or any third parties database even if not in our network. During your membership, and after the expiration of the membership, or non-validity of your membership, in suspension, after termination, or also when you are in our sites or use our platforms/groups anywhere (for example our LinkedIn groups or any other locations) you can not use, adopt, copy, reproduce, formally register, or submit manually or automatically on internet search engine (example google, linkedin, facebook search, msn, etc) all the above mentioned names, or protected names, or similar names (for example by adding one letter or number more/less, or setting up a new business with a very similar name changed by just 1 letter more or less, etc) for any purpose. If you are using them somehow without our written authorization, you immediately dismiss the use and delete the names on your systems, you immediately remove names from google, database and other search engines. Only fair pingbacks with links to www.B2BALTIC.org in the same content may be permitted according to our decision. Any use or misuse of the above listed protected names, names and brands, may apply a fixed contract fine at your cost up to euro 10000 (ten-thousand) plus eventually damages, and plus legal expenses in case you don´t remove the abusive contents and links from your system and search engines (inclusive on Google and other social media presences) within two calendar weeks. Moreover, whenever you copy and publish in internet one protected name on your webpages without authorization with the purpose to use the popularity of the name, or to mislead people on search engines to drive more traffic to your systems using the popularity of our names/protected-names/brands, even if you were not previously aware of your responsibility, then the contract fine at your cost may be up to 10 times bigger in amount. You are authorized to mention one or more of the above listed protected names, on Facebook, LinkedIn, Twitter, Google+, YouTube only in the case that our pages are the only one destination by clicking on the name (for example your are authorized to mention @B2BALTIC on Twitter while writing your post, since Twitter automatic connect that mention string to B2BALTIC official twitter page). To understand the correct authorized links, you can ask us anytime. However, mentions of B2BALTIC or of one of the above mentioned protected names is forbidden if there is no link to our pages: you shall check that your mention has been correctly linked by your provider, otherwise you promptly delete the mention string from your text. 13.1 Partnerships and relations of the member with different community names, movements, social commitment and opportunities. B2BALTIC may decide to move a member from one part of the community to another, (for example a member of B2BALTIC might be “virtually or digitally” positioned to be a member of the subcommunity LUXURY NORDIC HUB LNH). The community B2BALTIC owns several subcommunities, whose names are mentioned in the point 13.0. The community is also advocate of the Global Movement Smart&Digitalcities. The community management may transfer your membership anytime from one name to another, from one community to another, or from one team to another team, or position you in both. As a member you are also part and member of the Global Movement Smart&Digitalcities. Membership in any community and movement is basicly free, unless you have arranged with the community a paid contribution as you prefer. Fees may also change time by time. This internal “digital flexibility” provides you and all members with a better performance by focus on member´s abilities, which might be more suitable to another of our subcommunities. To remind also that B2BALTIC management may decide anytime to integrate you as member of a community as well as of a partnership: for example, you, as member of B2BALTIC, might be anytime approved or later disapproved by the community for cooperating with Janetschek & Partners, with or without any need of notification. We consider that all members of the community are also considered anytime, for short time or for long terms, business partners of the community, and partner of the community as well as partner of the directors of the community. For this reason, we offer this possibility: the community may allow you to update your public curriculum, especially your profile on LinkedIn.com and on Google+ with the following position to mention: “Business Partner of B2BALTIC”, or “Business Partner of Janetschek & Partners”, or “Business Associate of Janetsche & Partners”, or simply “Partner” or similar, according to the indication of the community. As a member you need however to ask permission and confirmation to the community B2BALTIC about the name of the position you want to add to your profile. However, you are not a community owner and you don´t become a owner of the community while you are a business associate. The community may require you anytime to remove those added details quickly from your profile and curriculum. Some partners may be included in the term article 13.2. We gently require our members to take this into account as a social “constructive” duty to make the community more powerful together, to spread the word of the community and consequently empower all our members by increasing the opportunies. Please do remind, that refusal of updating your profile in your webpage or linkedin curriculum, might be sanctioned (however with minimal fine since the service is still experimental). Instead refusal of removing a position previously added may be sanctioned with highest contract fine, above all if the added line is written not-correct, or confusing, misleading public digital search-engines such as Google or others, or damaging the community reputation, or drive business traffic to an account without community authorization, or after termination of the authorization for doing that. 13.2 Legal address provided by members. Your legal physical address, where your business or work-practice is located in the world, is part of the community B2BALTIC together with your membership, and you could receive – although very rarely or even nie – paper-letters and other official paper documents related to community operations, transactions and other deals or cases. You allow hereby the community and the management of B2BALTIC to eventually provide your physical business address to other member of the community or external for any community purpose related to your account or to your competence. Your address is provided by you for free. The letter´s recipient might contain one of the name mentioned at the term point 13.0, for example “B2BALTIC”, or other if approved by the community. You promise you promptly inform the community and – on demand of the community – you might be required to send a scan of the received document to the community management: in this case the community pays a fee of max. euro 30,00 brutto (thirty, for max 20 scanned pages) to you to cover your scanning expenses. Do remind that the receiving of a community document by post or courier, does not entitle you to be involved in any case any letter reports: the community shall decide your assigned role in the matter within 1 business week. Do remind, in general your business address, as find in your official webpage or corporate signature, might be stored in a digital map, online or offline, directly or indirectly promoted by B2BALTIC globally, since your legal business address is anyway publicly known, registered in your own country. Thereby the community is not responsible for any phisical letter, or digital letter, or e-mail in general, sent to all your official known business addresses (physical or digital) you have published in your web pages or registered in at your country register. 14.0 Fees, yearly contribution for premium members, minimal hourly fees, minimal success-fees, debt collection, invoicing, punctuality, termination of the premium membership by notification, sanctions and exceptions. Price lists, success-fees and hourly-support-fees (% values) are usually published in our sites in comparison table for professional services. Otherwise you can ask anytime to receive such information by e-mail. In case you work as authorized certified supplier of the community all the fees may be applied also to you for your own profit: you can ask to be promoted to distributor, broker, or reseller in the community (this membership agreement does not grant the right to be considered an official supplier of the community, even if you provide top quality services). Past obligations related to past or expired agreements between you and the community or between you and other suppliers or members of the community, regardless if invoiced or not yet, or previously invoiced, do not expire and they are still valid waiting to be honored by yours. The due amount, the legal expenses plus an interests rate of 24% (twenty-four percentage) per calendar year is applied at your cost until the correct payment of the amount from you towards to the community, and from you towards other members of this community (then it is valid also for your own benefit, whenever a member of this community does not pay you correctly and does not honor the agreement with you). You pay always in advance any fee related to provided services or memberships or support packages offered by the community to you. Invoices are issued after the successful transfer of the amount. If you have chosen a paid-membership with a yearly-contribution fee based on an arranged membership plan, or you have chosen the financial contribution you want to give to the community B2BALTIC, then the same amount is due each calendar year at the beginning of January of the new year, or at the end of December of the previous year, or in any other time during the new calendar year. Your paid membership (your first financial contribution paid to the community) is to anyway pay from you to the community on regular basis until you decide to terminate your premium/paid membership. Please do remind that you need to inform “on time” the community, not later of the calendar month of December, if you want to terminate the paid membership for the new year: the community invest more time and resource to promote activities of you paid-members. Obviously also any difference of contribution fee from your side may change performances and community-facilities. In general, all paid-members, or premium-members, or contributors, who decide to disconnect the paid-membership, will see their business account transformed into a stand-by free basic account, which might have no one of the facility previously offered during the paid membership. Please check with the community every year in that case the type of facilities provided to free basic members. However, unless notified termination, all memberships need to be paid every new calendar year, at least once a year. Payment of any contribution may be automated on your PayPal account or Credit Card. Every year is a calendar year from January to December regardless when you start the membership during the first year. If you are a member contributor who has paid once the yearly membership fee, or any contribution for premium membership, or sponsorship (excluded the one-time fees for single events), you can terminate the premium membership by sending message to us and requiring disconnetion of your paid membership: we accept request of termination only when your notification comes within December of the previous year (for example: you have made payment for membership in March, then you will contribute with your new membership-year, or sponsorship, either in December of the same year, or within January of the next year, to renew your paid-premium-membership for the new year). The termination of a premium membership does not terminate your membership in B2BALTIC, but only close your premium account giving you a basic free one: you will continue your membership in the community as free stand-by member. In all case of issue in payment from your side (for membership, other required services, or ordered goods, etc related to any transaction/agreement inside the community) with or without explanation, your membership and account may be suspended. A delay in payment longer than 4 calendar weeks from the first remind by e-mail, allows the community to active a legal procedure, add further legal expenses, add a fix interest rate up to 2% (two%) for each calendar week of delay from the due-date. Same sanctions are, as written above, applicable also in trading inside the community when you breach the payment agreement with any other of our members in the community. These policies are reciprocal and convenient also for your business with the other members: you might be the supplier who requires punctuality in payments. Furthermore, you accept that some exceptions are allowed with the target to protect the community stability: you don´t add legal costs and interest rate if one of the community authorized certified provider (the legal entity who has provided you with a specific service or collected your community contribution) in case of delay in payment for any administrative or financial reason: because the community suppliers are important for the stability of the network and legal actions or restrictions might damage the stability of the community and damage other members. However, you can count in this, that the community monitor the behaviour of the providers and change them in case of repeated problems with them. We target high quality in providing community facilities internationally. If any member and supplier of the community, or external met during your interaction in the community, do not fulfill your agreements, you can report the case to us and we will operate an investigation, and eventually apply community sanctions against the entity if it is our member. Please do remind that this rule is reciprocal, another member may report against you to us if you don´t act commercially correct. Please keep always in mind that if your type of business is based on providing services and you necessarily need punctuality in the payments, then you should meet always an extra agreement/contract, online or on paper, with that other member or entity, where you clearly fix payment conditions and related sanctions. Otherwise if you do not have an extra legally valid agreement with the other entity during your transaction, then our community policies, terms and all conditions may be applied. This might help efficiently your business with other members. In case you attempt to harm, legally attack, damage indirectly or indirectly the reputation of the community or an “authorized certified supplier” by amplifying your reasons, threatening or exaggerating your statements with the aim to push the supplier to operate faster, regardless from the validity of your reasons, a contract fine of euro 200 (two-hundred) is applied at your cost for each single event, plus damages and legal expenses to defend the position of the member and supplier in case. If you breach part of this global agreement and policies, and you act in the way to cause damage of the public reputation of our community or of an authorized certified provider that act also under the name of B2BALTIC, then our community is authorized to mention you in our journals, sites or social media accounts, including media content in attachment and we are fully authorized to make public the issue and visible on all networks, in order to confirm and protect the name of the community. Whenever one of our suppliers or member has been authorized by the community to collect unpaid invoices (or also amount not-invoiced) on your behalf, you will pay the supplier a success fee of 7% (seven percentage) once the unpaid amount has been covered. Between any members of the community, as well as between you and us, when there is no clear agreement about the payment of the work hours for any type of performance, hereby we want to fix at least the “minimal” hourly fee per person work to protect the professional workers in the community: for sales and marketing assistance at least euro 40 (forty), for technical assistance at least euro 50 € (fifty), for accounting at least euro 35 (thirty-five), for legal assistance with an attorney-at-law at least euro 100 (one hundred), if not differently arranged specifically for one single hour (60 minutes) of professional work. The minimal success-fee you pay to the community for each successful transaction for you, between you and another registered member of the community, is not less than 0,2% (null comma two%) of the total net transaction, regardless whether our community team has actively supported you in that transaction or not. In the case that we have helped your transaction effectively, helped negotiations, personally recommended each other and made you and the other connected, or motivated the payer to deal with you, the minimal success-fee you pay to the community shall be at least 4% (four percentage). All the mentioned “minimal” fees are to consider as a base for success fees: the community is allowed to deal with you to find a reasonable win-win model with higher fees. The community is allowed to propose you anytime paid-membership or other contributive new agreement to operate different fee-discount. You and the community can meet a new agereement convenient for both parties, however always keeping the current standard community policies fixed, apart for the entity of the success-fees. It´s usual for example that the member who get a deal through the community shares a success fees of 10 or 20%, depending on type of transaction, industry and costs. You shall pay the success-fees to the community B2BALTIC immediately after the transaction. Delay in the payment of any success-fees, or attempt of hide succesful transactions from the member, is strictly sanctioned according to this general agreement, terms and conditions, same like for unpaid invoices. Hidden transaction with the purpose of escaping the social duty of paying the success fee to the community may be charged as commercial fraud also in criminal court of law. Extra agreements shall not change nor reduce the minimal fees mentioned in this policy E14.0 . You and the community can negotiate anytime the future success-fees (for next deals) for any successful passed contact, however keeping safe always all the community policies indicated in this agreement. In the rare case we have sanctioned a member for the behavior/breach of the agreement, we keep the sanctions, interest on debts and contract fines paid, only to improve the community, the technology, and the quality of our social business networks. The community aims to a social development in B2B and improvement of the general behavior of the B2B operators and members, creating several opportunities, with a long-term approach in the consideration that our community firstly invest time and resource on you. Whenever you want to terminate the membership with B2BALTIC for any personal reason, your termination letter requires you to explain the reason of the termination and pay in advance a fixed contract-termination fee of euro 1000 (one thousand), to cover the administrative expenses to elaborate your request and act all tasks, and partially to cover the time spent by the community to integrate you in B2BALTIC, only in the case you are a free member and you have never paid a contribution or fee to the community. In case you arranged a paid-membership with any contribution from your side, the fixed termination-fee is reduced for you: euro 200. We recommend you to avoid early senselessly termination of the membership. N.B. If your agreement is terminated or naturally expired, or you want to terminate it, we and any member or suppliers who have provided you with a service or facility, or recommended you to others, are still entitled to receive from you the arranged success-fees, and at least their minimal if not differently arranged, for not less than 36 (thirty-six) calendar months after the termination and for each past or future successful transaction. Agreements with the suppliers and other members of the community are considered valid also when they are based on exchange of e-mails or messages. Any agreement in a written form, coming from verified sources, is considered valid and operative in the community, with or without signature or digital signature. This rule in the community is made exclusively to help all members receive the arranged success-fees from the other members, for enough time, to avoid any unfair behavior in the community and tricky strategic terminations. Success-fees are calculated on the base of any referral activity, directly or indirectly, in the community that has produces revenue for you through a transaction. The success-fee % is always calculated on the total net transacted amount, regardless of tax and effective revenues. Please keep it in mind during your transactions and correctly inform the members or us of the gained success-fees. This rule is also useful for your business purpose because valid reciprocally. You shall pay all due amounts – not excluding any service or product you have ordered in the future, penalties/fines or interest rate for delayed payment, legal expenses – punctual and respecting our recommendations because, an unpaid amount, or paid later, regardless from the nature of the amount, is considered an amount subject of the above mentioned interest rate in case of delay. For any breach of our policies/agreement that are considered not particularly relevant or temporary, and related to breaches of the contract whose sanctions has not been indicated in this policy, the community may apply a contract fine at your cost however not over euro 100 (hundred), for each single case of breach of the contract. Only B2BALTIC has the right to evaluate the breach-relevance and impact in the community, and calculate the fine amount in this case however not crossing the above mentioned contract fine limits. In case of insolvency, B2BALTIC is authorized to list you in public insolvency list and remove you from the list even time later after the end of the insolvency. In case of relevant insolvency, B2BALTIC is also authorized to contact your clients, banks, your debtors, to attempt to cover your debt. 15.0 Contract conclusion, duration and termination for any type of membership, free or paid. This binding contract has been concluded between you and B2BALTIC (us or our authorized certified supplier you have been assigned as said in point A), respectful of all the lines mentioned in this agreement. You immediately become member of the Nordic Baltic community B2BALTIC, by sending any partially or fully filled-up application, form, request from any of our sites, by using and staying on our sites (virtual or physical), and by approving all our policies, terms and conditions hereby mentioned, without any need of notification from us or feedback. Exactly from this moment the contract with you and/or your legal entity is valid, you are entitled of a membership in this community, you can start activities inside the community according to the facilities-list and all indicated services, free or paid as you prefer, published on our pages. B2BALTIC targets to deal with registered members only, also for your own safety in doing business with the others in the community. Cancellation of your membership and removal of you in the community is not possible unless you require us to active the contract termination procedure indicated in the above written section E14.0. The natural duration of the agreement is timely unlimited, and the contract renew automatic every calendar without any need of actions. Regardless if you are a free or paid member of the community, this agreement cannot be terminated before 3 (three) calendar years after the start of your membership. However, you may require that you want a faster removal of your data inside the community, if your request is complying with the policy E14.0. We hope you understand that we aim at targeting the creation of successful long-term business relationships with the members and productive community development, investing time and resource on you. The opportunities in the community are in fact also question of length of membership and active participation. The longer you are active in the community, the more you have opportunity to gain and empower your name or business. 16.0 Disputes Resolution, choice of jurisdiction. Disputes arising relating to any legal notice, service, product or policies, shall be subject to one of the below mentioned jurisdiction: Finland (Helsinki), Estonia (Tallinn), Latvia (Riga), Lithuania (Vilnius), Poland (Warsaw) or Austria (Vienna). You expressly approve that we are entitled to choose for first the jurisdiction for any dispute even eventually bypassing local regulations, EU law, regardless of the place where the parties have been registered or where the persons are resident. Only B2BALTIC makes the decision and choose the jurisdiction considering that the whole Baltic sea area is part of the community, and some jurisdiction might be more competent than others for specific issues. The city of Vienna, place of the UN in Europe is also extraordinary part of this list. To remind that the facilities of B2BALTIC can be provided to you from mixed entities located in one of more of the above-mentioned locations. Moreover, you agree that (a) we are entitled to require you before the lawsuit a complete translation of all the documents, attachments, requests and copies you ask or send, after we have decided the jurisdiction; (b) in the case a court finds any part of this contract between the community and you, not enforceable, or null, you and we agree that the court should modify the terms to make that part enforceable while still achieving its intent; (c) whenever a court can not modify according to (b), you and we agree to require the court to remove that unenforceable part and still enforce the rest of this contract; (d) if a chosen court or jurisdiction does not understand this agreement or the translations, or it is not competent, or postpone the problem solving, you agree that we are entitled to move the case to another jurisdiction, although this might determine growing legal expenses. To the extent allowed by law, the English language version of this contract is binding, and other translations are for convenience only. If we don’t act to enforce a breach of this contract, that does not mean that we have waived our right to enforce this. You shall indemnify us with a full coverage, for any loss, work and legal expenses incurred in connection with the claim or dispute according to the above mentioned administrative hourly pricing for each hour of work, plus the hourly-fees of the community lawyers. 17.0 Manner, word of mouth, reward, promise of activity. You as well as all the other members of the community who have approved the community policies are committed to being social responsible and fair, to behaving polite towards the others, to fulfilling agreements according to the law and the rights of all parties, not only considering the local laws in Finland, Sweden, Estonia, Latvia, Lithuania, Poland, Denmark, and Austria, but also the European laws and common sense in business and commerce. The win-win model of the community is also based on your skills, collaboration, social contribution and your activities and transactions with the other members and the community in general. You agree that you will be fair, fair to the community by doing positive good word of mouth, fair to the members and suppliers, professional, communicative, open-minded, sharing, and nice. You agree that you will use our services or membership in a professional and active manner, not abusing of the networks and communication facilities offered directly or indirectly to you for your own purpose and against the community. You agree that you will not use our internet resources such as pages or data-traffic on our platforms with the purpose of competitions with the community, monitoring, or statistics about the community. You agree to inform us whenever you change, transform or transfer your business to another, giving us the new company details to continue your membership under your new name. You promise that you will be active in the community sharing valuable contents, sharing your events and initiatives, showing your business video contents and business records, supporting, distributing or commenting our contents, other member´s contents, and sharing that with your own contacts (for example on facebook, twitter, linkedin). You promise you always make regularly your business press articles (your news), your new launched products, your business video contents and your next business events (conferences, official public meetings, etc) necessarily “discoverable” by showing them to us first of all and to the other members. You can show these above mentioned specific contents (avoiding spam, avoiding repetitive self-advertising that aim to present always only the general product, object or service you sell through annoying copy and paste of your webpages or standard letters for example, etc) using the community facilities, the media groups, the social media account of B2BALTIC, and also informing us by sending a message to our community support. When you share your business contents on social media networks, for example on Twitter or Facebook or LinkedIn please be sure and keep safe to mention always in the text you share or between the medias you share, the link to us (for example by adding the text @B2BALTIC to you tweet on Twitter, and @B2BALTIC on Facebook, or other related names connected to our page, or @B2BALTICTV on LinkedIn, etc, however always following the procedure offered by the social media). If you are not sure about how to operate this sharing & mention procedure, please contact immediately us and ask support. The “mention” system is important because through your “mentioning us” you enable us to be notified by the social media page (example Facebook) that you have attracted our attention. In fact after reading such notification we will operate or not any procedure according to the above mentioned policies written in this agreement. It is a breach of this contract every year, if you are an inactive members, and we may suspend you in the community anytime, block for undefined period. We consider you an “inactive” member if: your long inactivity is not explained, during your membership year you have never been active in the community, you have not shared any professional content, business article, business event on our public networks under the full or partial name of B2BALTIC, but you have been able to doing business as well as your own business, and you are not a paid-member of the community, nor contributor, nor verified, but a free member only. This policy is made to increase the community activities for the good of all members, to share interesting contents, to avoid lacks and silence, and to make you aware that the community invest on you, reading and elaborating your applications, writing messages and all administrative or commercial stuffs, also trying to create opportunities for you without any contribution from your side. Silence is not aim of the community, is not your aim when you become member of the community and is against your business and the community business, therefore silence/inactivity for long time is forbidden in B2BALTIC. Frequent smart sharing and smart contents are continuously monitored on our cost, and might be rewarded by B2BALTIC for their contribution to the network and community, that´s a reason more to be active at least once a year, as tolerant minimal requirement. Rewards are variable and the type of rewards are published time by time in the community. B2BALTIC has several “rewards” system to empower the business activity of smart people who demonstrate ability in the community and constructive social behavior. You contact us if you want to know more about the rewards of the current year, or stay updated with reading our informative pages. Rewards might be for example free sponsorship, free promo, multiple free sharing, TV interview, for you. Your personal power and your internet reputation are influenced first of all by your activity rate, your communication skills, how you talk about your services, product or yourself, how you inform the other of your existence, and the content type/quality you share in the community.